Antoine Griezmann has once again expressed his desire to play with fellow compatriot Paul Pogba. The duo shares one of the best friendships in football, with their off-field bromance matched by their chemistry on it, as evident from their heroics in France’s 2018 World Cup win. Neither of the two have been able to accomplish similar feats on club level, however, as both Atletico Madrid and Manchester United have failed to win major domestic and continental silverware, apart from the Europa League, for some years now. However, their union would certainly help bolster one of their clubs into a major powerhouse capable of dominating Europe, and Griezmann has now teased the same. In the previous summer transfer window, the Atletico Madrid talisman was heavily linked with a switch to Old Trafford. But no move materialised, as the 27-year-old decided to commit his future to the Spanish capital club. When recently asked about his decision to stay put at the La Liga outfit, Griezmann replied (via Mundo Deportivo): “I spoke a lot with Pogba, but I’d taken my decision. 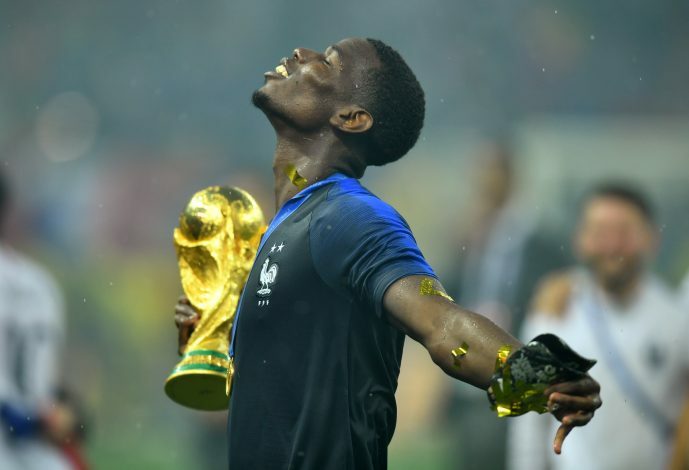 At present, however, Paul Pogba’s future at Manchester United remains far from secure in itself, with Griezmann’s move to the Theatre of Dreams currently out of the question. Both the Frenchmen have been heavily linked with Barcelona, though, thereby making the Camp Nou outfit a much likelier place of reunion as things stand.